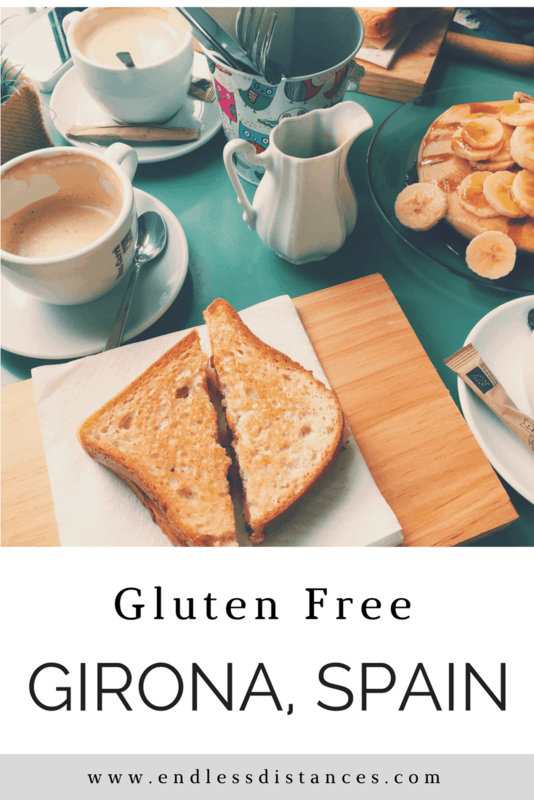 If you are looking for gluten free Girona advice… you have come to the right place! As you know by now, my carefree foodie-traveling lifestyle is slightly hampered by the fact I am gluten free. Never fear in Girona, though: I ate ’til my heart’s content! Of course, this came with the help of my Girona-resident friends Alexia and Angela, who were perfect tour guides, translators, and gluten free Girona connoisseurs. I also have to thank them for dealing with my gluten free complications – it can be difficult to travel with celiac disease, or for people with an allergy or intolerance, both for your own safety but also for the people who you travel with. They may not know all the details of your condition and diet, and will have to go out of their way for you in ways they obviously wouldn’t if they were just eating on their own! So a big thanks to my lovely travel buddies for their graciousness. I hope their guidance plus my own experience can give y’all a good guide to the ins and outs of gluten free Girona! L’exquisit is an adorable little cafe overlooking the River Onyar, the perfect place for a gluten free Girona brunch! They carry gluten free bread, so I had traditional Catalan sandwiches with jamon, tomatoes and cheese each morning (yes, sandwiches for breakfast is a thing). They also offer gluten free cookies! The coffee is also amazing and we ended up here almost every morning of our trip! Konig is an odd but yummy German-tapas chain that is local to Girona. It has a few locations across the city and province (including independence square) and is infamous for the best patatas bravas in Catalonia. This is coming from my friend who has lived in Girona for over 20 years! As far as tapas goes, patatas bravas is gluten free, and these are the best I’ve ever had. Konig also offers gluten free beer (which I am definitely a convert to after Prague)! 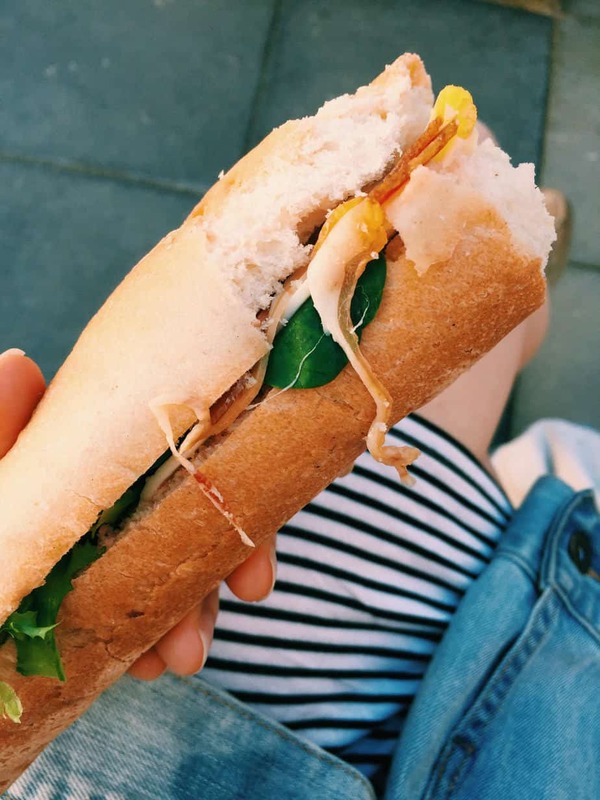 They have a location in Vilablareix which hosts a wide array of gluten free substitutes (breads, cakes, pastries etc) so if you are looking for more options than naturally gluten free and beer, head to the Vilablareix location! Here is the Vilablareix “sense gluten” menu. Ja tenim obert el nou local de Platja d'Aro!! Recordem que el 100% de la recaptació d'avui, anirà destinada a la fundació "IDIBGI" dedicada a la investigació sobre malalties Neurodegeneratives, Cardiovasculars, Càncer i Diabetis. 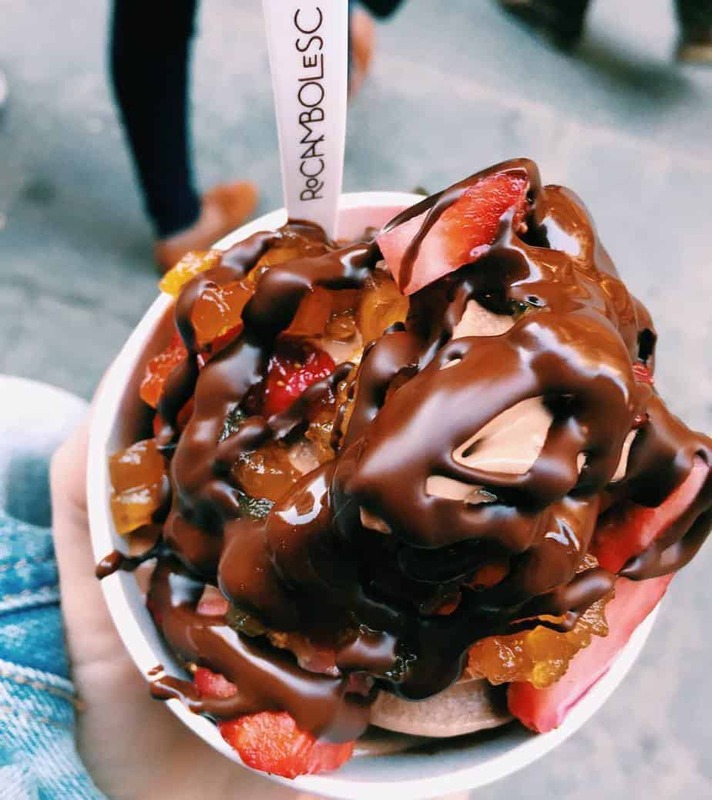 So I mentioned in my post on 10 free things to do in Girona how obsessed I am with Rocambolesc – it’s widely known as the best gelato in all of Spain (with only two locations: Girona and Barcelona). The gelato and toppings are incredible and even better than that, they are very allergy conscious and list allergens on all of the toppings, which I appreciated! La Vadette is a popular crepe place that serves gluten free buckwheat crepes with a huge variety of fillings. 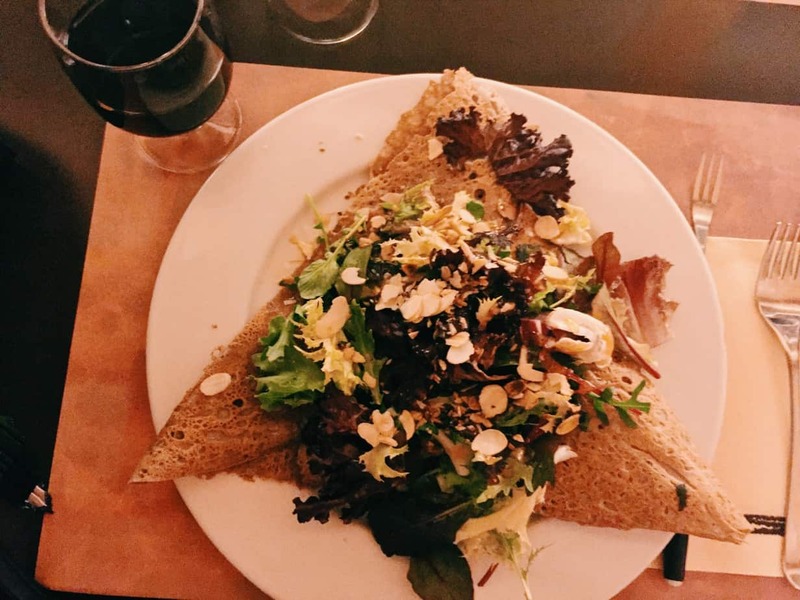 We went here for dinner and I ordered the Dolca savory buckwheat crepe, filled with goats cheese, brie, salad, almonds, and honey and tomato vinaigrette. They are also really accommodating and offered to serve the cheese fondue with potatoes for dipping (instead of bread) but I was already stuffed so opted not to. I 100% recommend a visit to La Vadette for any gluten free Girona visitors. I didn’t make it to River Café which was one of my only regrets in Girona (hardly, though, as I was busy munching away on homemade tortilla in my Catalan friends’ apartment). River Café is supposed to be the BEST gluten free Girona dining, according to my google searches. I don’t know if that’s because there is so little out there about gluten free Girona dining or because it really is that good. The TripAdvisor reviews are raving, so I’ll go with the latter! It has a great location as well. River Café is definitely on my list for a return trip to Girona. We attempted to brunch at La Fabrica (my friends introduced it as the best brunch place in Girona) but it was completely full so I would recommend a reservation. The space is beautiful, rustic and industrial, and a hot spot for all the cyclists heading through Girona. La Fabrica is known for its coffee but from both Tripadvisor reviews and a peek at their instagram and menu, it appears there are gluten free options as well! Our gluten free chia sensation in the front with some treats for later in the back 👌🏻 Mira!! Nuestras Chia Sensation! Pudin de coco chica, puré de mango, compota de fruta hecha en casa y granola sin gluten. Espectacular. I’ve now added Spain to my growing list of countries (including Italy and Norway) where I’ve taken advantage of gluten free McDonald’s. It still blows my mind – this is not the McDonald’s of my childhood! At any McDonald’s in Spain you can request a “sense gluten” burger, which is prepared separately and comes in a gluten free labeled box. I was also shocked that you can order a burger for 1 euro (this is probably not a new thing but to us out-of-the-fast-food-loop gluten free folk it is)!! We actually did a lot of our own cooking rather than eating out at restaurants, which was such a nice way to save money and spend time together. Plus it was so easy for me thanks to amazing gluten free ranges!! Caprabo is the more upscale/expensive grocery store which has a wide “sense gluten” selection. For cheaper prices but equally large selection, there’s Mercadona. Spanish omelette (tortilla): made of egg, potatoes, and occasionally vegetables/meat (and lots of oil) this is a staple food you’ll find most places – the Catalan tend to eat it for dinner but I thought it made a nice breakfast as well. Patatas bravas: this is my favorite tapas…essentially fried potatoes with bravas sauce (similar to aioli/tomato sauce). Ask to confirm that the sauce is gluten free but it usually is. For a more extensive list of gluten free traditional Spanish foods, I recommend this list of recommendations from Madrid’s Celiac Association. Obviously speaking the language is a huge help in any country when it comes to being safe and gluten free. In Girona, Catalan is spoken. It is similar to Spanish and most people who speak Catalan will also understand Spanish, but it is both more respectful and more effective if you are able to say some things in Catalan! This is a Catalan gluten free dining card from Celiac Travel which I highly recommend using! I hope that is helpful for all of you – clearly I have lots of options to eat at when I next return to Girona!! It’s a very doable city to eat gluten free in – I was shocked at all the options in the grocery stores. Have you ever been to Girona? Do you travel with dietary restrictions? Any advice I missed?